A big bike rental such as Harley-Davidson, Ducati, Kawasaki, KTM, or BMW motorcycle and also offering big bike touring package that travels to some of the most beautiful and unique places that have become well known tourist attractions in Bali and even go to places that tourists rarely have ever visited before. In this package we offer some very interesting choices of route. Your touring starts from the hotel where you stay and heads up to your chosen route going through beautiful areas with fantastic scenic scenery riding. Stop in Jatiluwih for lunch and continue on to the feel the strong culture that is rich in religious values at the mother temple of Besakih. All these things become important reasons why this big bike touring package becomes a thing you should do when you are on holiday in Bali, especially for those of you who like to ride big motorcycles to places you have never visited before, this is what we call The Ultimate Riding Experience. Harley-Davidson guided touring package that travels to some of the most beautiful and unique places that have become well known tourist attractions in Bali. In this package we offer some very interesting choices of route. BIKE, GUIDE (ON a HARLEY), REFRESHMENT, LUNCH (8 hrs), and GASOLINE. Seat and enjoy the ride with our experienced and professional rider/jockey and feel the beat from the engine of our bike. We are offering some options for this package. 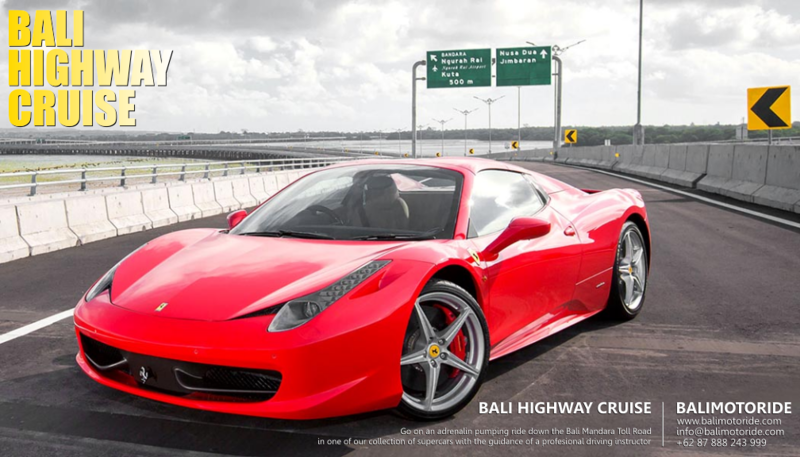 Please contact us or email to info@balimotoride.com for further information. All inclusive 2 days tour. All inclusive 3 days tour. Valid International Driving License for BIG BIKES is required or Valid National Driving License (SIM C) for Indonesian Nationals. Riding proficiency test is required before signing the contract. We reserve the right to keep one form of identification (Passport or ID) to be used as guarantee. We reserve the righ﻿t not to rent the motorcycle at any time and cause. The Renter shall be aware that motorcycles are dangerous and assumes all responsibilities in the operation of the vehicle. We are not responsible for any accidents, mishaps or personal injuries. DRIVE A SUPER CAR ?